This place specializes in Shanghai-style soup dumplings, but instead of steaming the dumplings, they cook them gyoza-style on a griddle. More, please. I’m just wondering where GSD is located in Nakano? My GF and I will be staying in Nakano for a month as well (funny enough, we, too rented an apartment from LiveinAsia)…we love your book and your recommendations, and I tried finding this soupies restaurant on google, but to no avail…so any directions would be great! 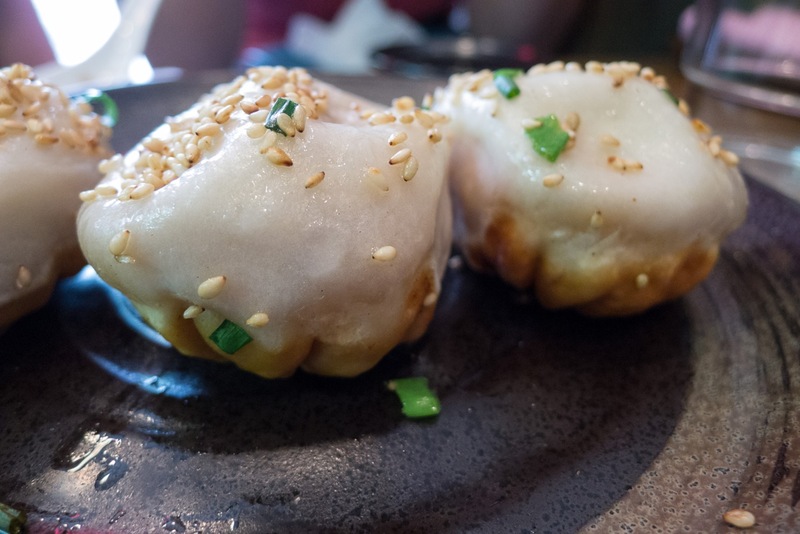 The actual name of the restaurant is Mago-chan Shanghai Grilled Soup Dumplings. Have a great time, and I’d love to hear more about your trip!